This 5-page fact sheet written by Ariel Singerman and published by the UF/IFAS Food and Resource Economics Department summarizes the cost of production per acre for processed oranges grown in southwest Florida during the 2016/17 season. Typical users of the estimates include growers and consultants, who use them as a benchmark; property appraisers, who use them to compute the taxes for property owners; and researchers, who use the estimates to evaluate the economic feasibility of potential new technologies. 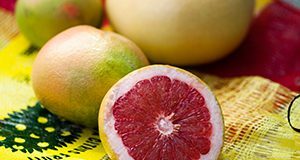 This 5-page fact sheet written by Ariel Singerman and published by the UF/IFAS Food and Resource Economics Department presents the cost of production per acre for growing fresh grapefruit in the Indian River region during 2016/17. Typical users of the estimates include growers and consultants, who use them as a benchmark; property appraisers, who use them to compute the taxes for property owners; and researchers, who use the estimates to evaluate the economic feasibility of potential new technologies. This 4-page article written by Ariel Singerman and published by the Food and Resource Economics Department presents the cost of production per acre for growing fresh grapefruit in the Indian River region during 2015/2016, based on a survey of growers conducted at the Indian River Citrus League production committee meeting in mid-July 2016. The cost estimates do not represent any individual operation; rather, their purpose is to serve as a benchmark for the industry. Typical users of these estimates include growers, consultants, property appraisers, and researchers. 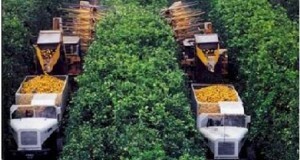 This 4-page fact sheet written by Ariel Singerman and published by the Department of Food and Resource Economics presents the cost of production per acre for processed oranges in southwest Florida during 2015/16. Thirteen growers participated in the survey and provided annual, per-acre costs by program for a “typical” irrigated, mature grove (10+ years old), including resets. The number of acres managed by their combined operations accounts for approximately 41,000 acres, of an estimated 257,298 acres devoted to oranges in the area, so the sample represents 16% of the acreage devoted to oranges in that region. Typical users of the estimates in this publication include growers, consultants, property appraisers, and researchers. This 4-page fact sheet written by Ariel Singerman and published by the Department of Food and Resource Economics presents the cost of production per acre for processed oranges in central Florida during 2015/16. Five growers participated in the survey and provided annual, per-acre costs by program for a “typical” irrigated, mature grove (10+ years old), including resets. The number of acres managed by their combined operations accounts for approximately 29,000 acres, of an estimated 137,154 acres devoted to oranges in the area, so the sample represents 21% of the acreage devoted to oranges in that region. Typical users of the estimates in this publication include growers, consultants, property appraisers, and researchers. A survey of Florida fresh citrus packers was conducted in April 2015 to collect data on their packing charges during the 2014/15 season. A total of sixteen packinghouses participated in the survey, seven from the Interior region and nine from the Indian River region. The average of their responses was computed to obtain the estimates presented in this 4-page fact sheet was written by Ariel Singerman, and published by the UF Department of Food and Resource Economics, March 2016. 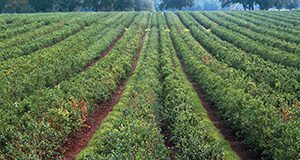 UF/IFAS researchers collected data from five growers to estimate the cost of production per acre for processed oranges in central Florida during 2014/15. The cost estimates in this 4-page fact sheet written by Ariel Singerman and published by the Food and Resource Economics Department do not represent any individual operation. 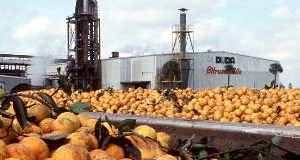 Instead, their purpose is to serve as a benchmark for the Florida citrus industry. Typical users of these estimates include growers, consultants, property appraisers, and researchers. This 4-page article written by Ariel Singerman and published by the Food and Resource Economics Department presents the cost of production per acre for growing fresh grapefruit in the Indian River region during 2014/15, based on a survey of growers conducted at the Indian River Citrus League production committee meeting in March 2015. The cost estimates do not represent any individual operation; rather, their purpose is to serve as a benchmark for the industry. Typical users of these estimates include growers, consultants, property appraisers, and researchers. 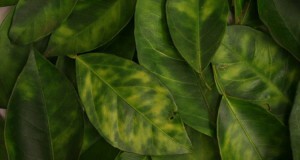 Florida is the largest orange-producing state in the United States and the third largest orange producer in the world, but the Florida citrus industry and its position in the global citrus market are being jeopardized by a bacterial disease known as citrus greening or Huanglongbing (HLB). 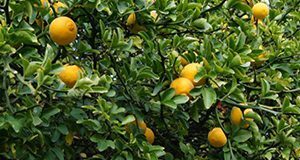 HLB hurts the vascular systems of citrus trees and prevents them from absorbing nutrients. 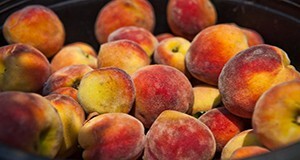 The disease reduces yields, leads to smaller, lower-quality fruit, kills trees, and increases farmers’ production costs. First found in Florida in 2005, HLB has spread rapidly across the state. As of January 2016, there is neither a cure nor an economically viable option for managing HLB-infected trees. 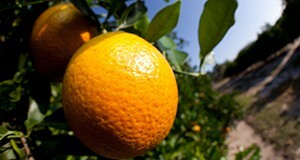 Since HLB was first found in 2005, orange acreage and yield in Florida have decreased by 26% and 42%, respectively. Orange production dropped from 242 million to 104.6 million boxes in 2014. 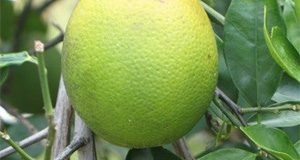 Even though the industry acknowledges that HLB has reached epidemic proportions across the state, estimates of the level of infection and its impact on citrus operations are scarce. This 4-page article written by Ariel Singerman and Pilar Useche and published by the Food and Resource Economics Department presents the first growers’-survey-based estimates of both the level of HLB infection in Florida and the impact of HLB on citrus operations in Florida. 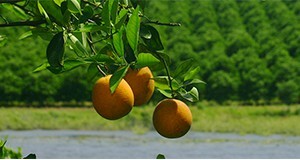 As Florida’s citrus industry confronts the impacts of Huanglongbing (HLB or citrus greening)–decreasing crop yields and production, lower quality fruit, and increasing cost of production–many growers are facing declining returns. A 2015 survey of twelve Florida citrus harvesters to collect data on harvesting charges during the 2014/15 season revealed that average picking and roadsiding charges for fresh fruit are in most cases lower than those for processed fruit, likely because of the impact of HLB. This 3-page fact sheet written by Ariel Singerman of UF/IFAS Citrus Research and Education Center and published by the Food and Resource Economics Department presents the results of the survey and provides a table summarizing the harvesting charges for citrus during the 2014/15 season with the average and the range of picking and roadsiding charges by variety and type of fruit (fresh versus processed), as well as the average hauling charges for all varieties by distance. The fact sheet will assist growers in the effort to compute the changes to their economic returns as the industry adapts to remain profitable. A Citrus Health Management Area (CHMA) is a group of growers who work cooperatively to coordinate insecticide application timing and mode of action in order control the insect vector of citrus greening disease. CHMAs help prevent insect vectors from moving between groves and reduce the likelihood that insects will develop pesticide resistance. This 3-page fact sheet written by Ariel Singerman and Brandon Page and published by the Food and Resource Economics Department analyzes the case-study data on yields of Valencia oranges from blocks located in two different categories of CHMAs to find the impact of citrus greening disease on citrus yields and provide evidence on the effectiveness of best class CHMAs as a way to deal with the disease. The analysis provides evidence that CHMAs can enhance an individual grower’s profitability at a time when margins are becoming increasingly narrow. UF/IFAS researchers collected data from twelve growers to estimate the cost of production per acre for processed oranges in southwest Florida during 2014/15. The cost estimates in this 4-page fact sheet written by Ariel Singerman and published by the Food and Resource Economics Department do not represent any individual operation. 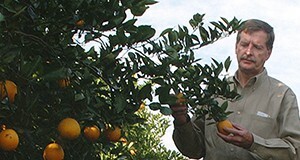 Instead, their purpose is to serve as a benchmark for the Florida citrus industry. Typical users of these estimates include growers, consultants, property appraisers, and researchers. This 10-page report, developed through interviews with growers who managed their own citrus groves, outlines the cost of production budgets for fresh grapefruit and juice oranges grown during the 2013/14 season. 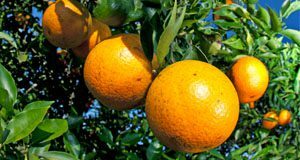 The Florida citrus industry is on a steep learning curve as it collectively tries to maintain economically sustainable fruit yields from HLB-infected trees. Growers are experimenting with new materials and management strategies to reduce psyllid populations and improve a tree’s overall nutritional health. As a result, production costs have increased threefold since 2004. Between the 2012/13 and the 2013/14 seasons, production costs increased 30% and 34% for fresh grapefruit and juice oranges, respectively. Since 2004, production costs for fresh grapefruit have increased 182%, while costs to grow juice oranges have increased 211%. Written by Fritz Roka, Ariel Singerman, and Ronald Muraro, and published by the UF Department of Food and Resource Economics, July 2015.